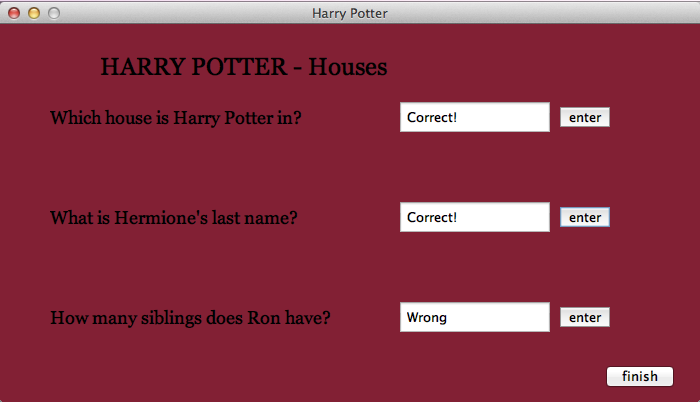 Editor's Note: In her Computer Science class, Diana S. ('17) created a quiz that tests your knowledge of the Harry Potter series. 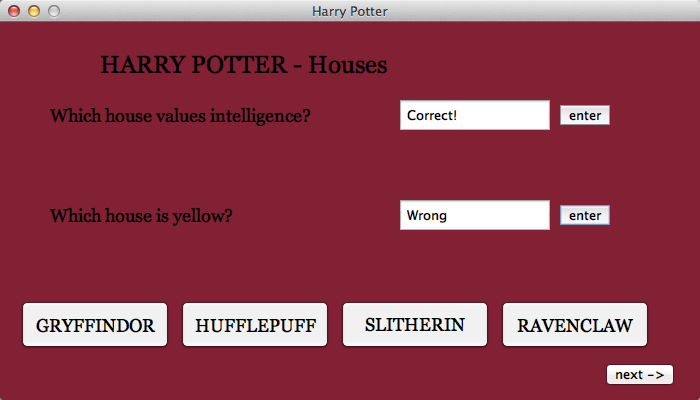 I made this Harry Potter knowledge quiz for a project in my AT Computer Science class. The assignment was to create a GUI quiz. In this course we have learned the fundamentals to computer science, using the Eclipse application. 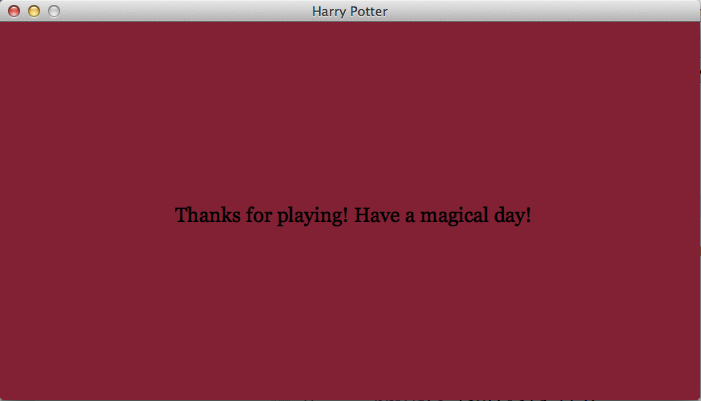 I enjoyed this project because I was able to express my love for Harry Potter while also learning a new element to computer coding. This project was fun and crucial in helping me understand how to code a GUI.